Hola! I hope that your Saturday is going good. Just wanted to share this cute pic of Will and Jada that I saw on Afro.Art.Chick. (such a cool blog). 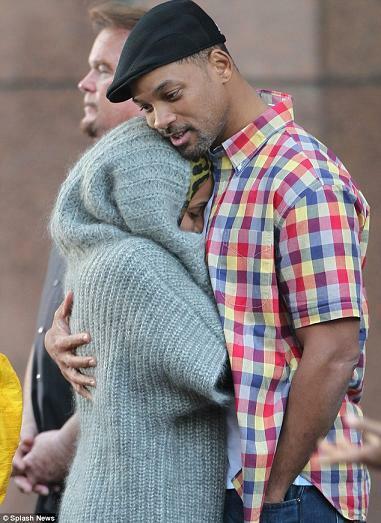 I also want the sweater that Jada is wearing…too cute and it looks warm! « WP Challenge Topic—Stranded, Island, Music?